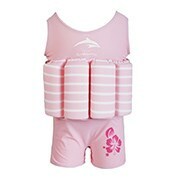 Whether you’re going out on the Jet Ski with a few friends or off fishing for the weekend, safety always comes first so make sure you're prepared and shop one of our personal flotation devices today. Our range includes products such as the standard inflatable Burke life vest and accessories to match like the Burke standard inflatable CO2 kit, which is suitable for recharging your life jacket. 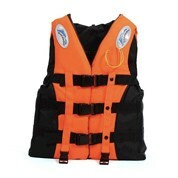 We stock quality items with trusty brands like Marine Burke so you can ensure that in an emergency your life vest will do its job and keep you safe and afloat. Our products meet the Australian Standard AS4758.1 and the device is easily inflated by manually pulling a cord to trigger the 33g cylinder. The life vest is also fully kitted out with features such as a whistle, retro reflective tape and an oral inflation/ deflation tube to ensure you are prepared for anything. We understand how busy life gets and going down to your local shopping mall isn't always as easy as it seems, that’s why here at MyDeal we keep things easy and we bring your purchases straight to your door! We ship to major cities like Melbourne, Sydney, Perth, Brisbane and The Gold Coast very quickly and to regional areas with some time allowance. If you have any queries regarding our product range you can contact our friendly customer service line or fill out one of our online forms.